Are you hearing these words used a lot, transformation, innovation and disruption (tid). That set me thinking is the world of selling affected by tid? buyer – seller relationship – the subtle ways of how a buyer and seller conduct their respective activities has changed and we ‘get it’ in the consumer world better than we do in the B2B world. 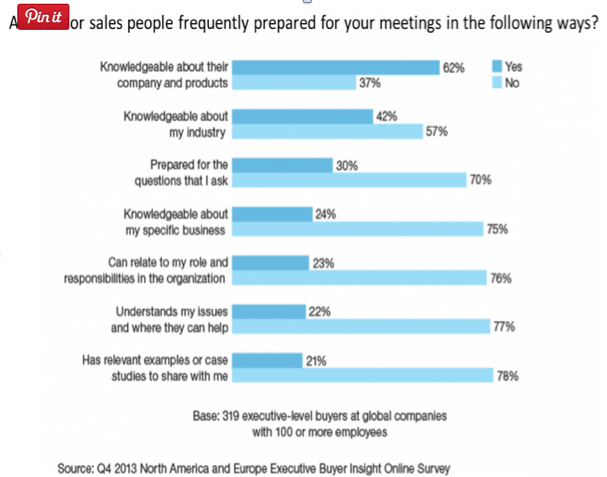 What do we know about the B2B world of selling? So it appears that there is a ‘gap’ and room for improvement! How can sellers close that gap? I have for a long time thought training your salespeople to be like a detective is a good idea. Hey don’t detectives solve crimes. Yes they do and they gather and sift through information and piece sometimes random events to build what they call evidence. That helps them to expose a motive and solve a crime. In the context of selling, as we don’t solve crimes, I see acting like a detective as an activity that helps expose motives that give us reason to contact a customer. I think this always was a required skill (but not recognised) as we relied on sales techniques and methodologies (SPIN, SCOTSMAN, Solution Selling and more recently The Challenger Sale). Now we have a new dynamic, buyer better informed (thanks to the Internet) and involving sellers later in their sales cycle and sometimes not even contacting a salesperson and purchasing unassisted. And so eCommerce + savvy buyer puts some jobs are a risk particularly those that are commodity sellers (buyer is totally proficient at selection and price is a key determinant of decision). So those sales techniques are of no use if you can’t get in front of the customer and that is what I recognise as the complementary skill to those sales methodologies, being a detective. And so at a personal level you need a survival strategy and at a company level you need a strategy to ensure you remain relevant in the eyes of the customer. We are in a world with wave after wave of innovation and who is going to translate that innovation into ‘what it means for your business Mr Customer’. You are as the seller but you can only do that where you fix the gap illustrated above. 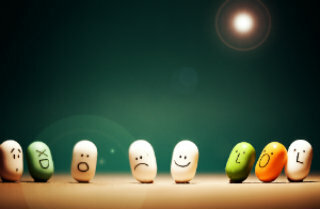 Change is never easy so figure out quickly who will be your allies in assessing social selling? Look to see how active they are as users of social media, view their LinkedIn profile, do they tweet? What is the mindset of the business and management team. Steady as she goes, is their any sense of peril, we innovate non-stop etc. In your value chain – what is your value and how can that be enhanced? Most people think ‘efficiency’ yet ‘innovation’ also adds value. Rewind and Fast Forward – look back 5 years in time and think about your sales modus operandi and today. What changed? Now look forward 5 years and what is already shaping the modus operandi of sales organisations? Even if you don’t know there is one thing that is constant – TECHNOLOGY. Check out what B2B sales pioneers are doing to compete in a world where information, or rather selective information, reveals the nuggets that has your customer say ‘let’s talk’ rather than ‘leave me alone’. On that point I will retire with the assertion that as buyers accelerate their use of technology to help them with their buying activity so must sellers accelerate their use of technology to remain relevant. That logic needs testing against the appetite for people to accept that the environment they operate in is changing. Logic – when I reach out to a customer I want to leave them with a good impression. Emotion – That impression I make matters to me as I look to build my professional reputation day in, day out. Now if you are a CxO and thinking about that sales revenue line and how to grow it then social selling should be under review. That is the technology piece of people – process – technology. You will need to know the appetite of your salespeople to adapt and separate your logic (technology enabling sales capability) from the emotion of salespeople. For social selling to succeed I believe you have to understand and appeal to the emotion of salespeople. There I’ve said it. Disclosure: I use Artesian as a Social Seller and will deliver a talk at their next invitation only customer meeting on 26th August 2015. I am also contributing to the development of their Connections 15 event for Social Sellers taking place on 2nd December 2015.